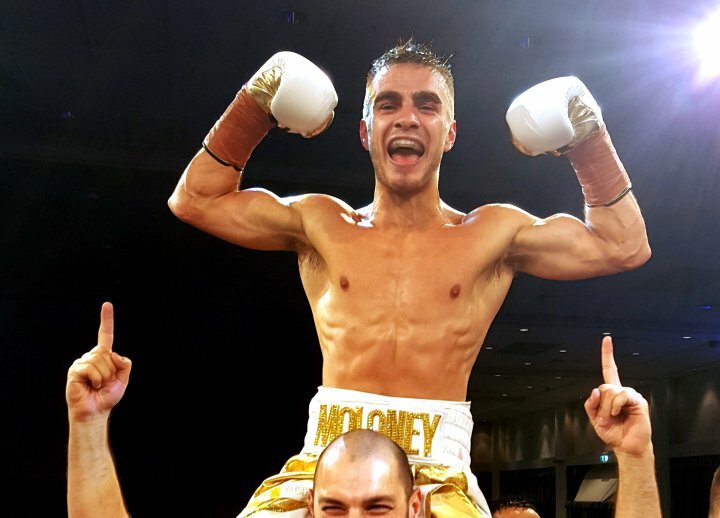 Super flyweight contender Andrew ‘The Monster’ Moloney 19-0 (12) delivered a highlight reel KO of Miguel ‘Aguja’ Gonzalez 29-2 (6) at Gran Arena Monticello in San Francisco de Mostazal, Chile on Friday night to position himself for a world title shot against England’s WBA champion Khalid Yafai 25-0 (15). Moloney beat Gonzalez to the punch with a short left hook in the eighth round that crumpled the local fighter to the canvas. The WBA number two contender bravely got to his feet but was reeling around the ring on wooden legs when referee Romina Arroyo stepped in to stop the fight. The Australian appeared in control of the action for the entire fight despite a bad call from referee Arroyo in the sixth when she delivered a count after Moloney slipped to the canvas. The scorecards at the time of the stoppage suggested Moloney, 28, was always going to need a knockout to win. Two judges had Gonzalez leading 68-64 and 67-65 while the third had the fight dead even at 66-66. “To be honest I felt a bit off tonight. I don’t know what it was, we’d been here in Chile long enough,” Moloney said to The Ring. “I’m just so over the moon because I was scared that everything I’d worked so hard for for the last 15 years was slipping away from me,” added Moloney. Moloney was under instruction from his trainer Angelo Hyder to turn the fight into a war and that’s exactly what he did, attacking the body relentlessly and looking for openings for the left hook upstairs. The victory puts Moloney in the box seat to face the winner of Yafai versus Norbelto Jimenez 29-8-4 (16), a fight that will take place on the undercard of Anthony Joshua versus Jarrell Miller at New York’s Madison Square Garden on June 1. “Going off Yafai’s last few performances you’d say that there is a chance that Jimenez can win that fight,” WBA number three Moloney said. The winner of Yafai-Jimenez will be given nine months to defend against Moloney, who hopes to be ringside for their clash in New York.